Syrian government forces have achieved a series of local successes in the framework of their operation against ISIS cells in the province of al-Suwayda. The Syrian Arab Army (SAA), the National Defense Forces (NDF) and the Syrian Social Nationalist Party (SSNP) restored control of the administrative border of the province after had cleared about 400km2 in its eastern part and had besieged the remaining ISIS members in the area of Safa. By Monday, the SAA, the NDF and the SSNP have launched a final push to purge ISIS terrorists in this area. While the Syrian military is finishing its operation in eastern al-Suwayda, the Tiger Forces, led by General Suheil al-Hassan, have started their redeployment from the provinces of Quneitra and Daraa to the northern part of Hama province. On August 10 and August 11, at least three convoys of the Tiger Forces were sported en route to northern Hama. They included battle tanks, OTR-21 Tochka tactical ballistic missile launchers, UR-77 mine clearing vehicles, BM-21 Grad multiple rocket launchers, vehicles armed with machine guns, a large number of artillery pieces and other equipment. Syrian pro-government and pro-militant sources expect that the al-Ghab Plains will become a main target of the upcoming operation of the Syrian military. 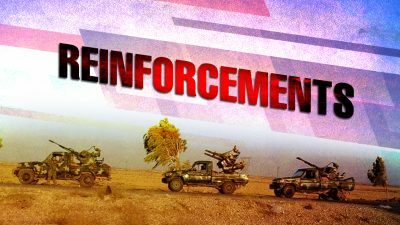 On August 11, units of Russian Military Police were deployed on the Murak crossing between the government-held and militant-held areas in norther Hama. According to pro-militant sources, they will establish a new humanitarian corridor allowing civilians to leave the militant-held part of the Idlib de-escalation zone. Possible civilian casualties are one of the key issues delaying an implementation of military option against Hayat Tahrir al-Sham and its allies in Idlib by the Syrian-Iranian-Russian alliance. Separately, the Turkish state-run media speculated that about 1,300 members of the Kurdish People’s Protection Units (YPG) and the Kurdistan Workers’ Party (PKK) were deployed in the government-controlled area in the northern part of Aleppo province. The Turkish media claimed that members of the Kurdish armed groups will be involved in an upcoming attack by pro-government forces on the so-called moderate opposition. While no photos or videos have been released to confirm these claims, these reports reflect the Turkish reaction on the recent rapprochement between Damascus and Kurdish factions in Syria. A possible improvement of relations between the YPG, which currently receives support from the US, and the Assad government is something what Ankara does not want to see. So, the Erdogan government may soon attempt to impact relations between the sides through diplomatic channels as well as many make another attempt to increase military pressure on the YPG.